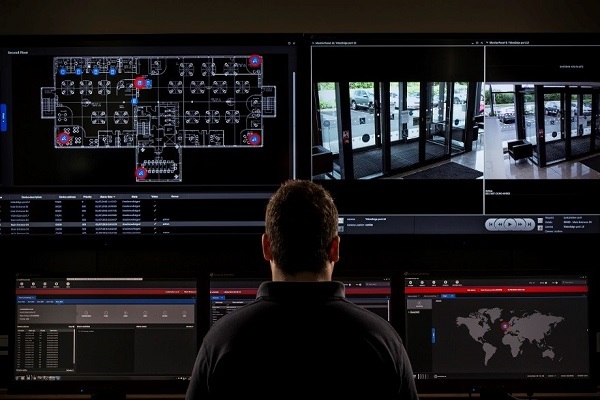 Philip Verner (Regional Sales Director, Security Products, Johnson Controls) talks about intelligent security considerations for smarter buildings, where security deployments deliver more than just physical security by adding measurable and strategic value to businesses. One Albert Quay, Johnson Controls’ global headquarters in Cork, is an key example of how critical building systems including lighting, heating, power, access control, video, fire detection and fire suppression are utilized and connected to create one of Ireland’s smartest building. Johnson Controls’ CEM Systems AC2000 security management solution supported by CEM Systems emerald intelligent access terminals provides One Albert Quay a solution that goes beyond access control to help improve operational efficiency. 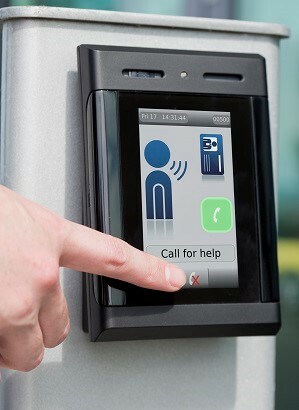 emerald provides a reader and controller in a single device to control access to doors and car parks with the added benefit of a built-in Voice over IP (VoIP) intercom and remote applications that enable additional functionality such as time and attendance, room booking, displaying company/site information, personalised messaging, entry checklists and more. The smart lift system at One Albert Quay is centrally controlled with AC2000 access control and emerald terminals, and integrated with Schindler Lifts. When an employee or visitor swipes their access control card on the emerald terminal, this buttonless lift system uses automatic location choice depending on the users’ access control privileges. The smart lift system then automatically brings the card holder to the floor where they are working. This is a fast and efficient system, with zero latency between systems and enables energy harvesting for added efficiency. When deploying your security think about how you can take the functionality of typically numerous security devices and combine them into one powerful terminal for operational and cost savings. Choose intelligent card readers with reader and controller functionality combined into one device. Intelligent readers, such as the CEM Systems emerald intelligent access terminal, also have the added benefit of an internal database which ensure 24/7 access control and prevent throughput congestion and queues. Intelligent access terminals and combined solutions such as combining intercom functionality into the access control solution also take this multi-functional concept to a new level. CEM Systems emerald intelligent access terminals offers combined card reader and controller functionality, fully integrated Voice over IP intercom for bi-directional communication, on-board Power over Ethernet (PoE) technology and a range of remote server-based smart applications all in one single, powerful terminal. 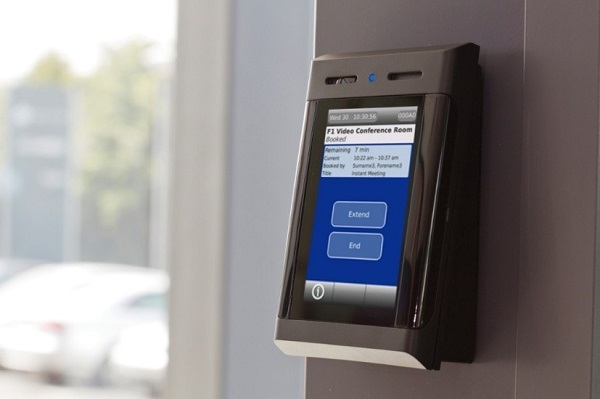 ‘Smart applications’ that allow users to perform tasks such as accessing visitor information, card holder messages or integrated staff time and attendance, without the need for a dedicated client PC, brings intelligence which previously resided on the access control database closer to the door. Using a range of smart applications directly on the CEM Systems emerald terminal, users can perform what was historically client PC application functionality without the need to install dedicated PC software and licenses. An intelligent access terminal with a room booking interface that allows users to book a room, edit a booking and check room availability all at the door removes the need for a separate room booking interface. Using CEM Systems emerald intelligent access terminals you can conveniently book company meeting rooms at the door with a valid card swipe or through Microsoft Outlook® exchange calendar. Applications that provide administrators the autonomy to locally change cardholder privileges at a door terminal, rather than at a workstation or central ID unit, can save time and costs. CEM Systems emerald provides a smart ‘Local Access’ application to solve the operational problem of last minute staff rescheduling and the need to urgently provide out-of-facility, temporary workers with access to restricted areas. Intelligent access terminals that provide enhanced security checks such as displaying an image of the card holder on swipe allows for visual verification by security staff to limit card sharing. Terminals that also provide a checklist upon entry or exit can help ensure health and safety policies are adhered to. 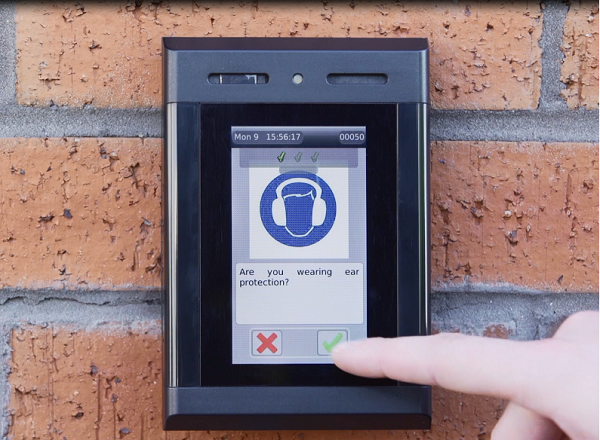 CEM Systems emerald intelligent terminals feature a range of sophisticated door modes such as an ‘image on swipe’ mode a building ‘entry/exit checklist’ mode that is particularly beneficial within the construction sector as it enables workers to answer a list of pre-defined questions (such as do you have the correct permits, clothing and training, etc.) before access is granted on site. Intelligent security shouldn’t be about capturing the event after it has happened. Using collaborative building data and analytics you can pre-empt vulnerabilities before they happen and optimize total building performance. To enable the centralized gathering of building data and to manage the alarms of various building systems and multiple sites, use one unified security platform. For example the CEM Systems AC2000 Security Hub enables the centralised command and control of integrated building systems and wireless/offline locks via the AC2000 access control system. Using this platform systems can accurately share information and data, which can then be used to optimize total building performance. 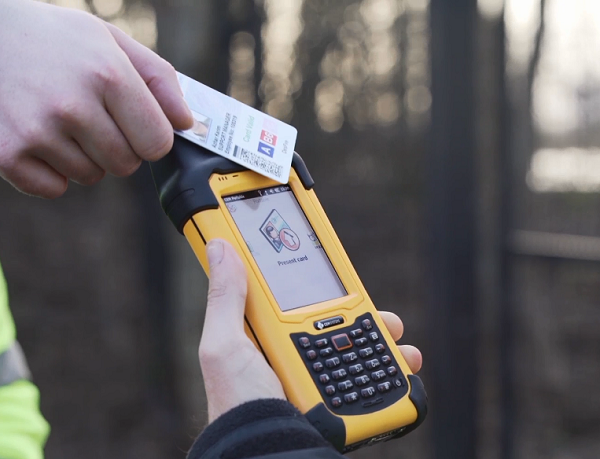 Portable card readers are a great example of a smart solution which continues to solve the customer problem of securing areas with no fixed wall barriers or gates. Harland & Wolff’s engineering facilities in Northern Ireland deployed CEM Systems S3040 portable hand-held card readers at dry dock areas which created measurable efficiency gains by successfully bringing their evacuation drill mustering time from 45 minutes down to 9 minutes. When choosing a card reader in 2018 opt for readers that offer the highest level of built-in smart card technology. For user convenience also check with your security supplier, if they offer pre-personalised smart cards with encrypted algorithms. Another growing trend in the industry and an example of the access control system is getting smarter for users is the use of mobile phone credentials. Smartphones as a form of credential is now a perfectly viable option. The benefit of the mobile credential is that it saves the operational time and cost of physically sending out an ID card, making it ideal for businesses with remote workers and numerous remote sites. Quite often the option to use biometrics with access control can mean two pieces of software being used in parallel, as well as two separate networks and two separate security devices at the door. When choosing biometrics opt for a fully integrated access control and biometric solution. CEM Systems emerald intelligent fingerprint access terminal AC2000 access control software removes the need for two separate pieces of software. 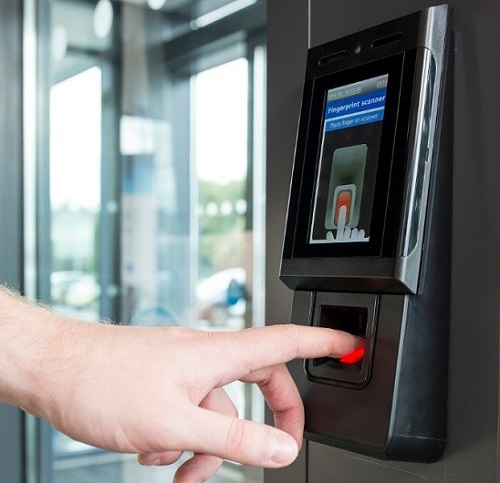 Using one software, one network and one device, creates a quicker biometric read time, less errors at the door and ultimately less lines of throughput traffic at access control points.